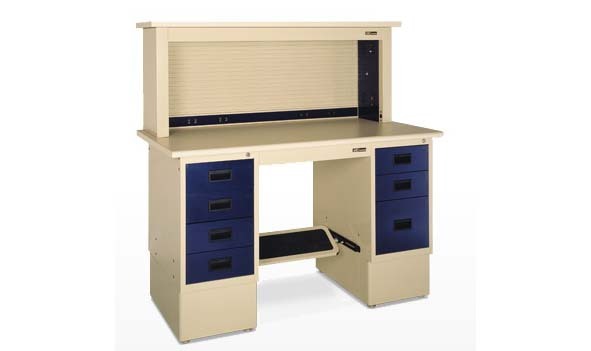 A reliable source for Workshop Benches information and a resource for accessing leading Workshop Benches and suppliers. Workshop Benches Workshop benches are useful in a variety of workshop settings where you need to set up equipment, put the finishing touches on a project, or work some something that involves lots of tools. Many individuals who have do woodworking as a hobby have a small workshop bench in their garage or basement because it is a good surface to set equipment on and to work off of when they are building something. 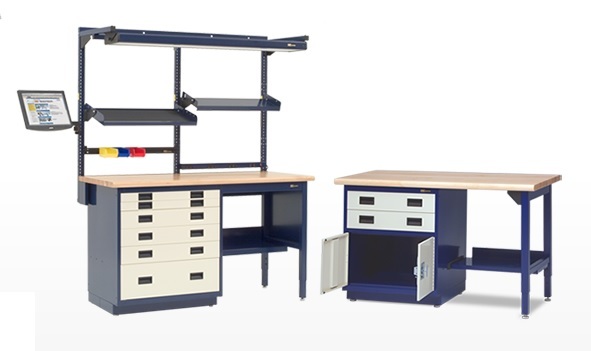 In more industrial and commercial settings, all kinds of fabrication facilities and factories use workshop benches to store tools and materials and apply finishing touches to a product during production. Besides storage, other accessories are sometimes incorporated into the design of a workshop bench. Overhead lights can be built into the frame, and multiple electrical outlets can also be integrated into the bench to make it easy to connect power tools and other electrical devices. The most basic workshop benches are not built with these extra features, but in some applications these features are necessary to make the work process easier.